Economy plaques are a good choice for tight budgets.?? They come in a variety of sizes and engraving plate styles.?? The cherry finished MDF board looks great and saves money.?? 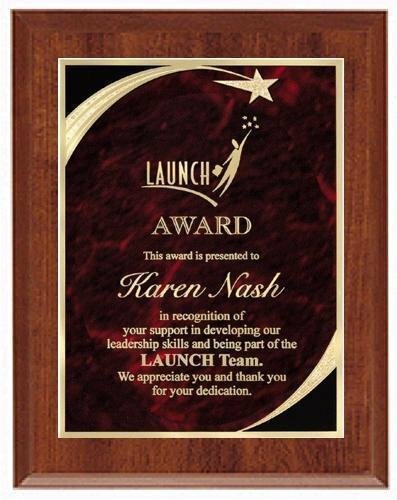 Many churches, schools and non-profit organizations choose these plaques as an economical way to recognize special people and contributing businesses. The Cherry Finished Economy Plaque has a Star Achievement Red Brass Plate. 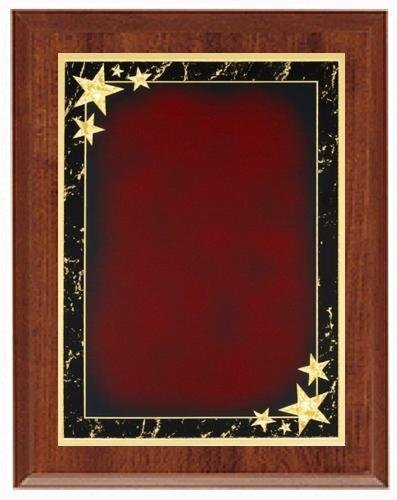 The Cherry Finished Economy Plaque has a Red Marble Star Sweep Brass Plate. 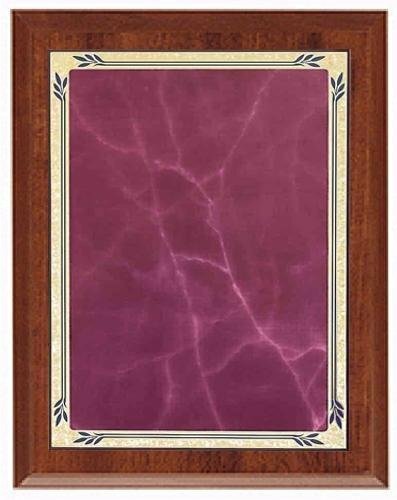 The Cherry Finished Economy Plaque has a Rose Marble Heritage Brass Plate. 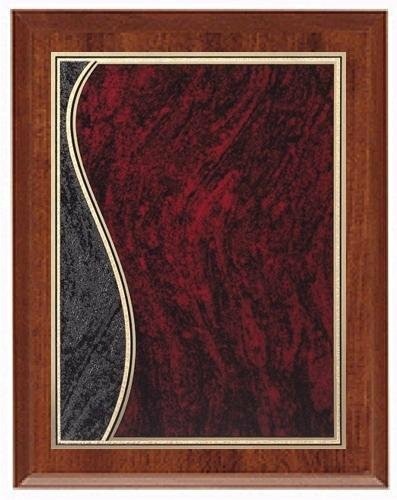 The Cherry Finished Economy Plaque has a Sienna Marble Swirl Brass Plate with textured edge and florentine accents. The Cherry Finished Economy Plaque has a US Flag Brass Plate with Florentine star accented border.. 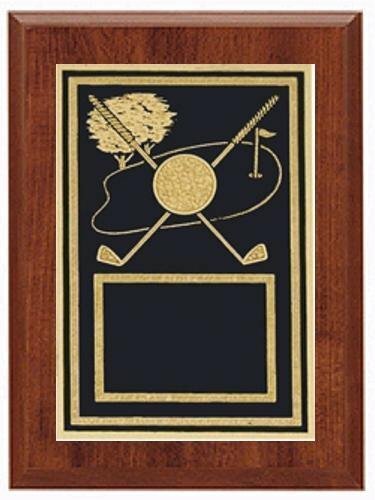 This cherry finished plaque has a black brass plate with a golf theme. 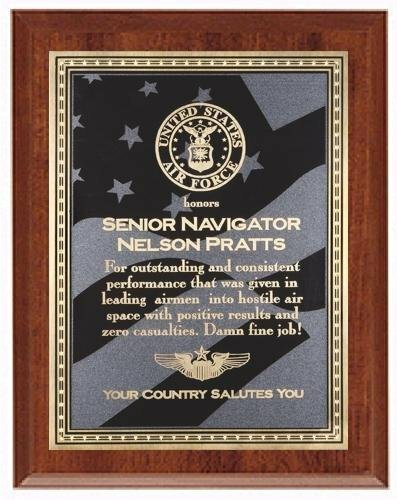 The golf plaque is an elegant, yet affordable award that can be used for golf tournaments and special personal accomplishments. 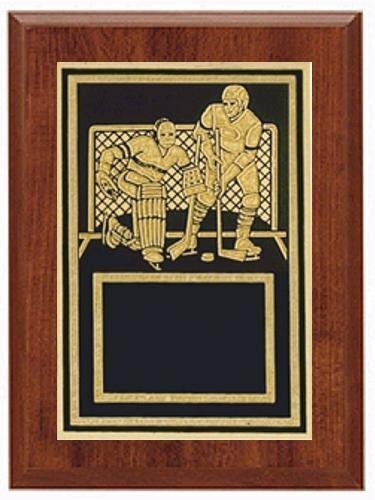 This cherry finished plaque has a black brass plate with a hockey theme. The hockey plaque is an elegant, yet affordable award that can be used for hockey tournaments, team awards or personal accomplishments. This cherry finished plaque has a black brass plate with a horse theme. 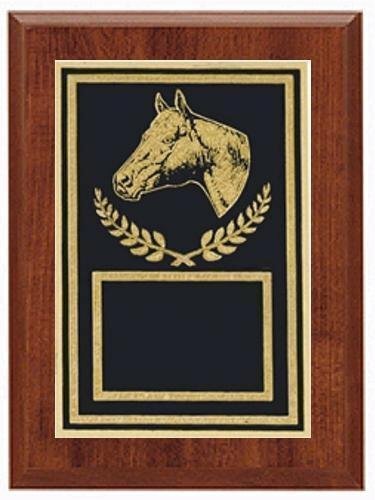 The horse plaque is an elegant, yet affordable award that can be used for equestrian competitions or to commemorate any equestrian accomplishments. 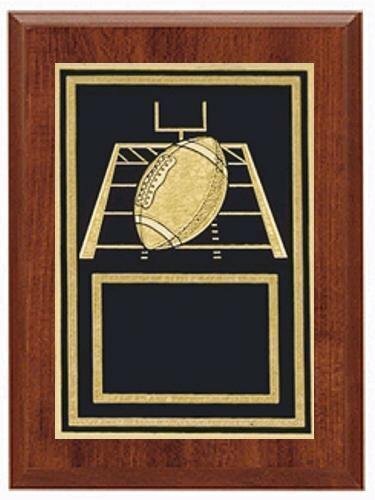 This cherry finished plaque has a black brass plate with a team manager theme. 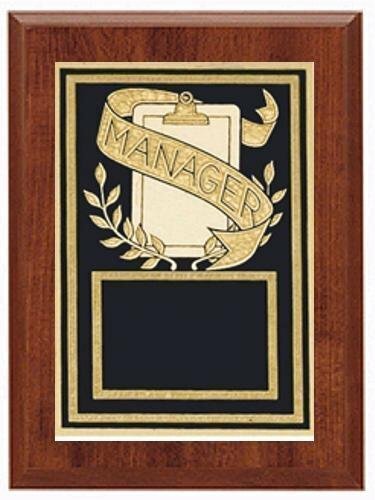 The manager plaque is an elegant, yet affordable award that can be used to show your appreciation to the team's manager.